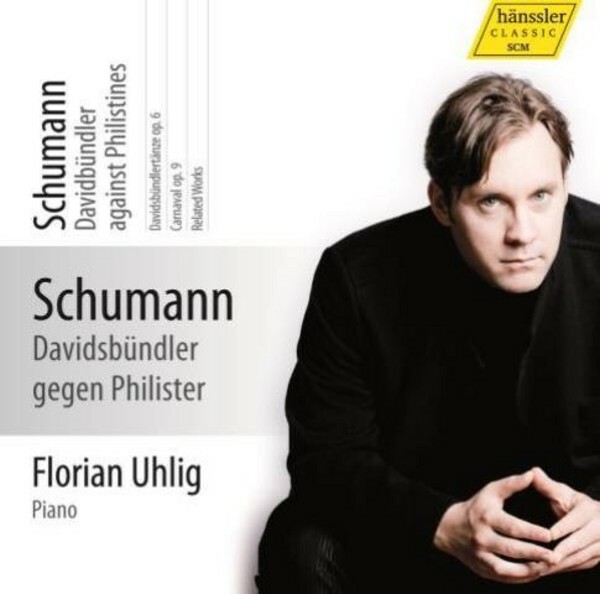 With the 8th instalment of the first truly complete recording of Schumann's works for solo piano, Florian Uhlig reaches the midway point of his widely acclaimed and much admired project. That Schumann deserves such a presentation is undisputed, and organizing each instalment by musical themes allows for both a more accessible and representative immersion into the world of the composer�s thoughts and feelings. This new CD deals with the dual nature of the composer and writer. Together with the two great piano cycles Davidsb�ndlert�nze Op.6 and 'Carnaval' Op.9, Florian Uhlig has collected some related miniatures that either Schumann composed and later rejected, or for one reason or another were never included in subsequent printed editions. Among these are at least three premiere recordings. That Florian Uhlig convincingly masters these emotionally complex works in both technical and expressive terms requires no further mention. Once again, he has assembled a CD program that clearly sets itself apart from other typical recitals.